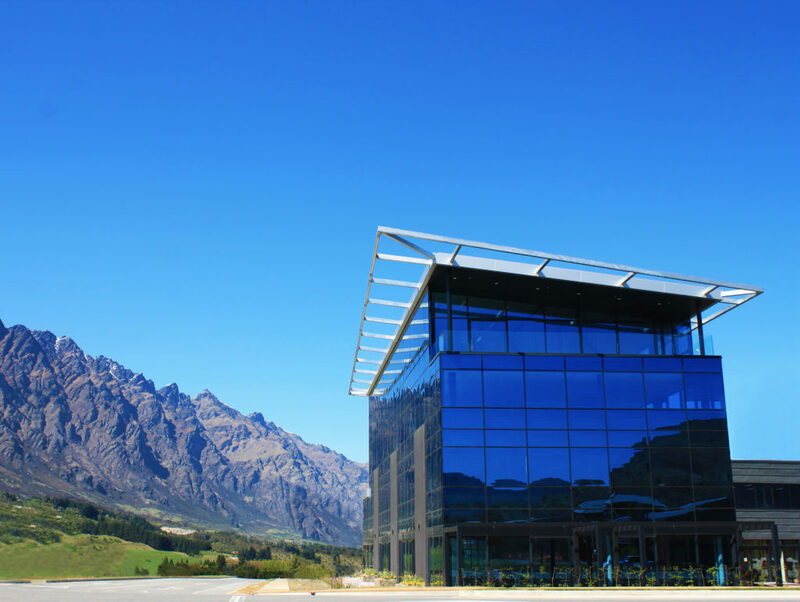 RCP is proud to have partnered with Remarkables Park Ltd to provide project management services for the stunning 18m tall Remarkables House, which will be home to 12 business and more than 100 staff. The main building features a steel frame superstructure with a reflective blue tint glass curtain wall, broken up by five concrete panel green walls between the glass panels. 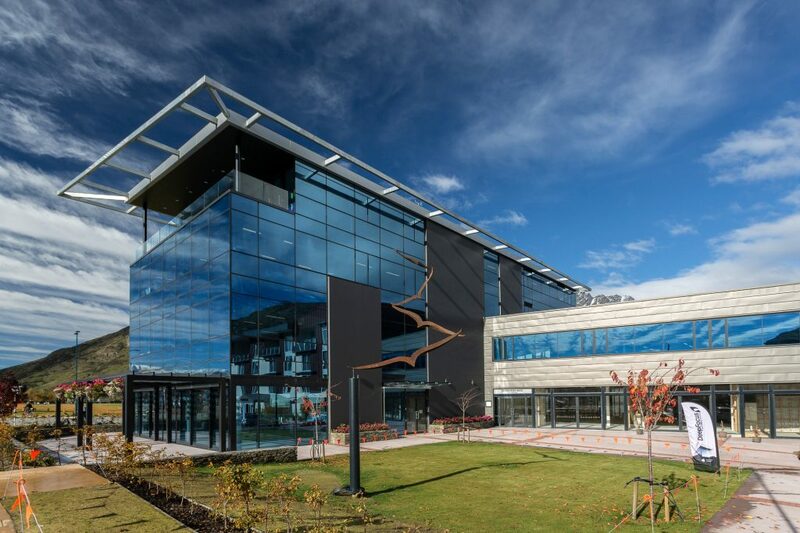 RCP was integral in leading a team from around New Zealand in delivering this technical building in a unique environment. 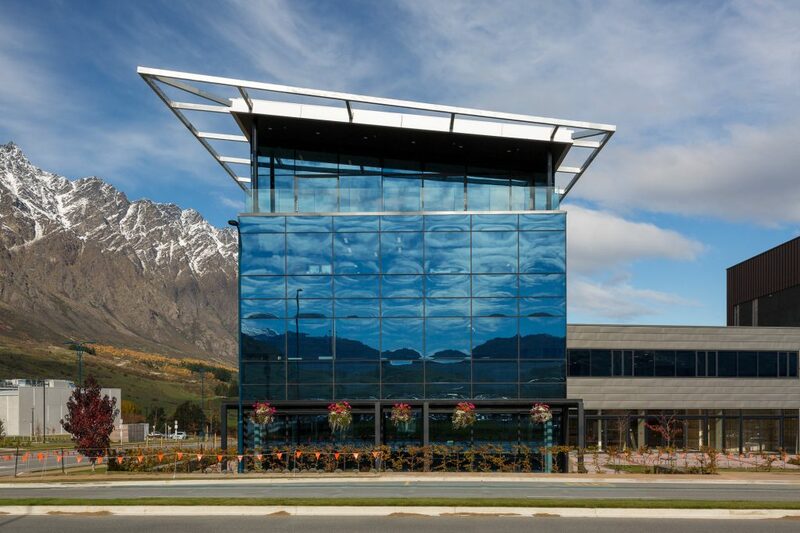 The project required detailed technical analysis by the project engineers, the glazing contractor and an independent energy efficiency consultant to determine the optimal combination of glass and services, to provide 300 degree mountain and lake views within a commercial property that meets the challenges of Queenstown’s variable summer and winter environments. 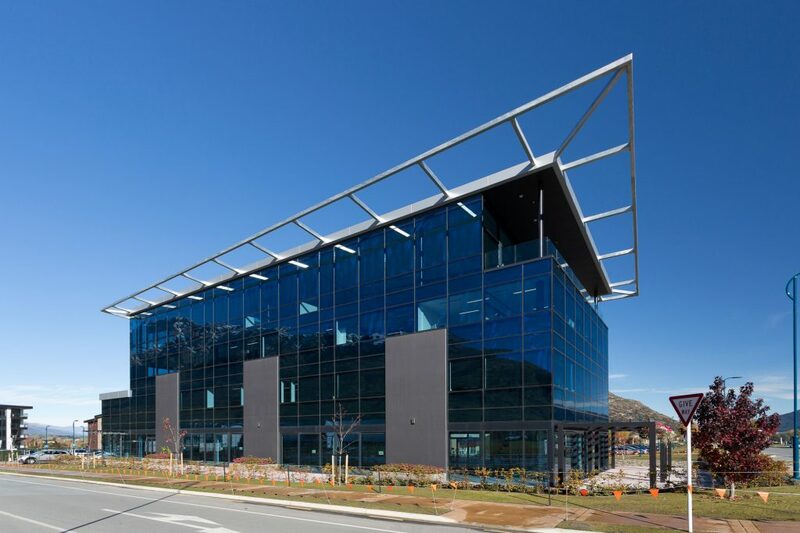 Remarkables House is the first building of its type constructed in Queenstown and will remain an iconic feature within the growing Remarkables Park development. 2017 New Zealand Commercial Project Awards – Gold Award and the Value Award for top property over $15 million.